The close proximity required for the Near Field Communication (NFC) technique makes it an interesting alternative and supplement to Bluetooth wireless technology. 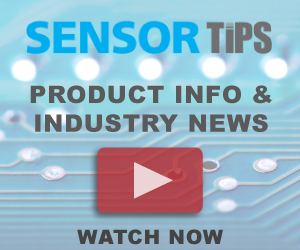 With its RF430FRL15xH system-on-chip (SoC) family, Texas Instruments (TI) makes it easy to implement an NFC sensor transponder. The 13.56 MHz fully programmable ISO 15693-compliant transponder includes programmable microcontroller (MCU), non-volatile FRAM, an analog-to-digital converter (ADC) and SPI or I2C interface. With the RF430FRL152HEVM evaluation module, developers can immediately start evaluating the new family of NFC sensor transponders for medical, industrial, asset-tracking and Internet of Things (IoT) applications. For more information about the RF430FRL15xH SoC and the RF430FRL152HEVM evaluation module, click here.